' New Year Resolution Free Printable - Sisters, What! 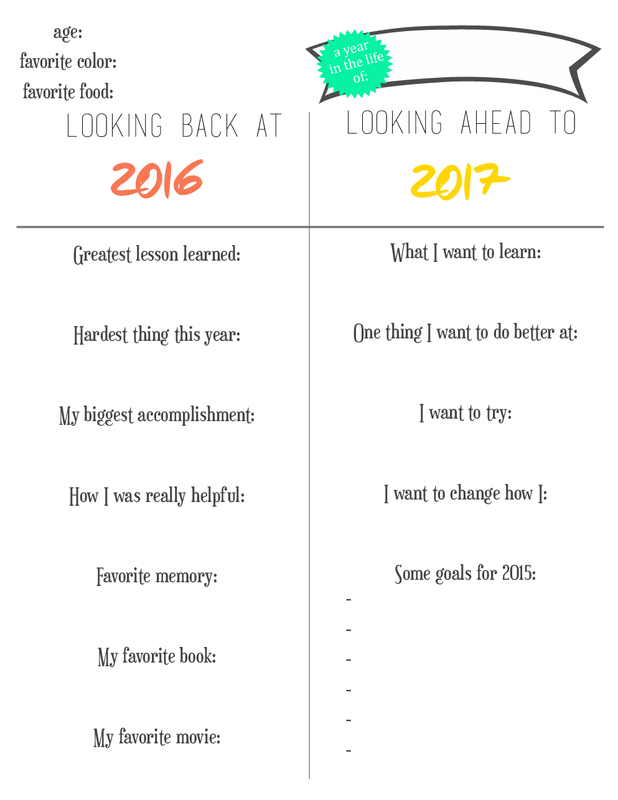 This fun New Year Resolutions printable is perfect for kiddos or adults to look back at the past year and look forward to the New Year. Did you guys have a wonderful Christmas? We did. I really enjoyed just giving all my time to my family, even if it was just staying at home playing toys, games or just reading books. I'm really sad that the break is almost over. I love having my oldest kiddo and husband home all day with us. But, alas, the new year is approaching. 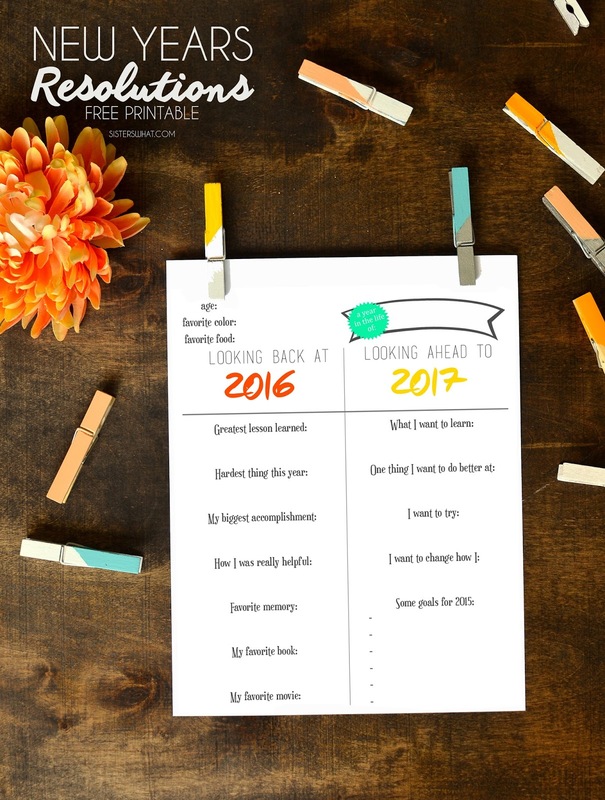 Just like last year, I have this fun printable for your kiddos to fill as a fun look back at last year and look at the new year. You can download the 2016-2017 one or a blank year one that you can print off every year just fill in the years. Happy New Year! (find downloads at end of post.